If you become pregnant you will need a first appointment with the midwife. This will take approximately 1 hour. The midwife will carry out some general checks and take some blood tests. The midwife holds a clinic at Park House Health and Social Care Centre. The midwives also hold relaxation classes and alternative clinic appointments. Call 0115 9617616 for more information. All patients with asthma should have an annual review with the practice nurse. Our aim is to assess how well your asthma is controlled and how you are getting on with your current treatment. The review will take 15 minutes and is a preventative measure rather than waiting until the asthma is causing you problems. 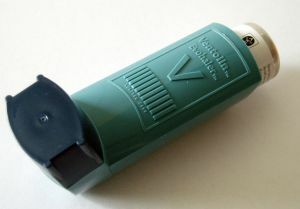 People with Asthma are also recommended to have a flu vaccination each year. Monday – Friday 8am until 11.30am. An appointment is needed. Please see the staff at the Main Reception or telephone 0115 9617 616 to book. Our practice nurses perform cervical smears. Women will receive a letter informing them when their test is due. An appointment with our practice nurse for this will last approximately 15 minutes. Regular developmental checks for children under 5 years are done by the Health visitor. The health visitors are based in Park House Health and Social Care centre. All patients with diabetes are advised to have an annual review with the practice nurse. This involves a blood test and a review with the practice nurse. This is a detailed examination and will last approximately 30 minutes. Often patients are seeing the doctor on a regular basis for their diabetic care but should still have this more in-depth annual review with the nurse. All our nurses are qualified to perform this specialised review for all our diabetic patients. District Nurses and Community Matrons. Occasionally you may be referred to the district nurse or community matron service by your doctor or the hospital. The district nurse team and community matrons are based at Park House Health and Social Care Centre and can be contacted on 0300 0830100. Our practice nurses offer a family planning service. Please book an appointment via our reception. Patients can also attend the Park House Health and Social Care Centre for the general Family Planning Service held 5pm until 8pm on a Tuesday evening. Appointments for the Park House Health and Social Care Centre Family Planning Clinic can be booked on 0115 9627627. All patients are eligible for a well man or well woman check. This lasts approximately 15 minutes with our health care assistant. Please bring a urine sample with you for this check.